One of the ways we spent or spare time at H-3 was walking along the beach. Visitors to the site seemed to think that we were really only trying to find a way to get away but really it was interesting to see what might have been washed up by the waves. Things like big glass balls which were used by commercial fishermen to float their nets were a common thing. You might also find an ocean size fishing lure or even a poor stranded ocean traveler like the one Marty took a picture of shown here. 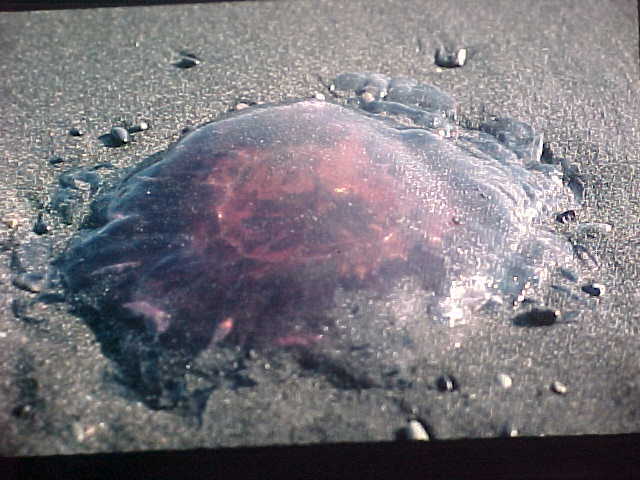 In case you can't figure it out, it was a jellyfish which washed ashore one day.